Look around. 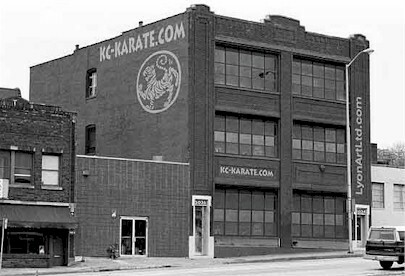 You'll find animated technique demonstrations, essays by senior members, Special Events, and other information of interest to KC Shotokan Karate Club members. There are a number of SKA eForums sprouting up. Join these and you can efficiently communicate with other members and receive important announcements. Subscriptions may be easily set to "digest" mode in order to reduce email load. Click on a link below in order to subscribe to any of the groups. There is never any charge to you and you may easily unsubscribe at any time. Please DO NOT attempt to subscribe if you are not a member in good standing of Shotokan Karate of America. All subscription applications are verified prior to approval. Members in good standing of the KC Shotokan Karate Club, Longview Shotokan Karate, KCAI Shotokan Karate, AT&T Shotokan, UNL Shotokan, or any other SKA affiliated dojo are welcome to subscribe and exchange news and views here. Shotokan Karate of America -- Midwest SKA members in good standing who live or practice in the Midwest region or are interested in SKA Midwest activities are encouraged to join this group. SKA's international open forum. Send and receive email on any Shotokan topic..
SKA's women's special interest open forum. Not for women only! General interest announcements only! Receive OFFICIAL SKA news and information.